Within the UK much of the cultural sector works from a social model approach – for example, Arts Council of England uses it to underpin their work and it features heavily within their guidance to NPOs. When working internationally, the Unlimited team have found it hard to fully explain the model and its impact – often thought we’d thought we’d got the message across only to find out that our explanations had been lost in translation. There are many papers and articles but they often rely heavily on words. The solution? 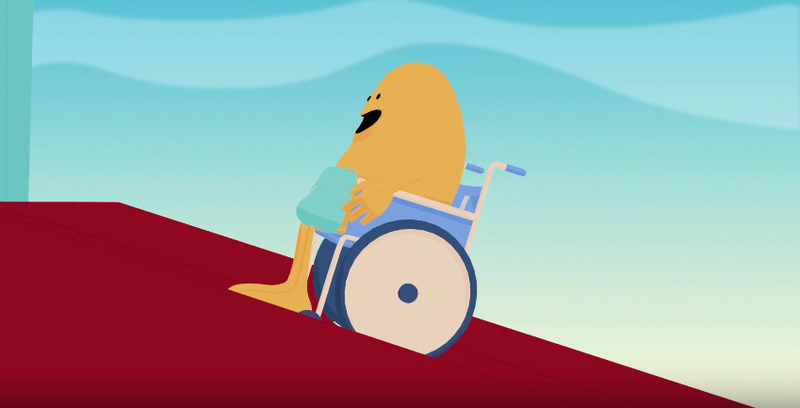 To commission an animation without words to get across the concept of those in charge removing barriers rather than trying to cure or change the individual. We are delighted to share the results below, available for all to use and share. We first shared the animation in Kiev, Ukraine on 19 February 2018 as part of the British Council’s Art & Disability: The Creative Case for Inclusion, and we already have plans to use it in Korea, Singapore and China this year. We want anyone who thinks it might be useful to share the animation and use it to help illustrate this approach – both inside and outside of the cultural sector. Of course we recognise that there is debate and discussion about the social model – after all, no model is perfect. If you want to share online, it’s on our YouTube page and an audio described version will also available shortly. If you’d like a version to share offline, just email us to find out how. Do let us know how and where its used – it would be great to track its reach. Access: Is ‘disability’ a dirty word?